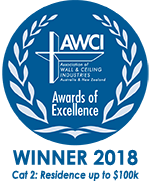 Ceiling Force was established in 2004 to supply and install quality plasterboard ceilings and walls primarily to the residential building market. 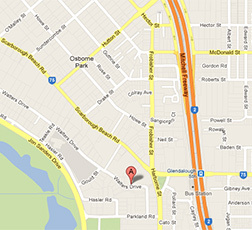 Our supervisors cover North, South, Central and the outer regions of Perth. Our goal is to deliver a quality product on time, every time. We are a professional organisation that has sustained excellent long term relationships with not only our clients, but also our sub-contractors. To compliment our installation teams we also employ maintenance contractors for a quality after care service. We exclusively use G-Tek, Boral and CSR products (unless otherwise specified). Our rates are highly competititve and we also offer excellent rates on multi-unit and project developments. Ceiling Force is an award-winning company, taking out the Association of Wall & Ceiling Industries (Australia & New Zealand) Award of Excellence (Residential less than $100,000) in 2017 and 2018.